Image at top: Eta Aquariid meteors over the Atacama Desert in 2015, via Yuri Beletsky. This weekend presents a fine time for watching the annual Eta Aquariid meteor shower – especially if you live in the Southern Hemisphere or the northern tropics. Before dawn these next several mornings – May 4, 5 and 6, 2019 – watch for these meteors to streak across the heavens in an inky dark sky unmarred by moonlight. We expect the morning of May 5 to showcase the peak number of meteors. But try the morning before and/or after as well, as this meteor shower has a relatively broad peak. You don’t need to find the radiant of the Eta Aquariid shower to watch this meteor shower. 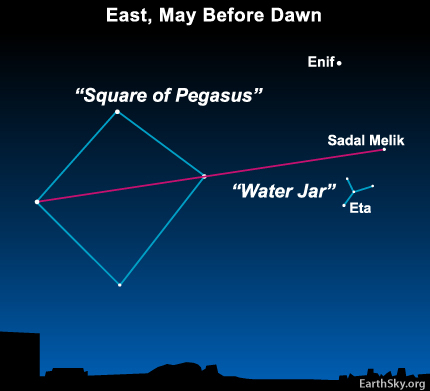 But if you’re interested in locating it, use the Great Square of Pegasus to star-hop to the radiant of the Eta Aquariid meteor shower. Read more. 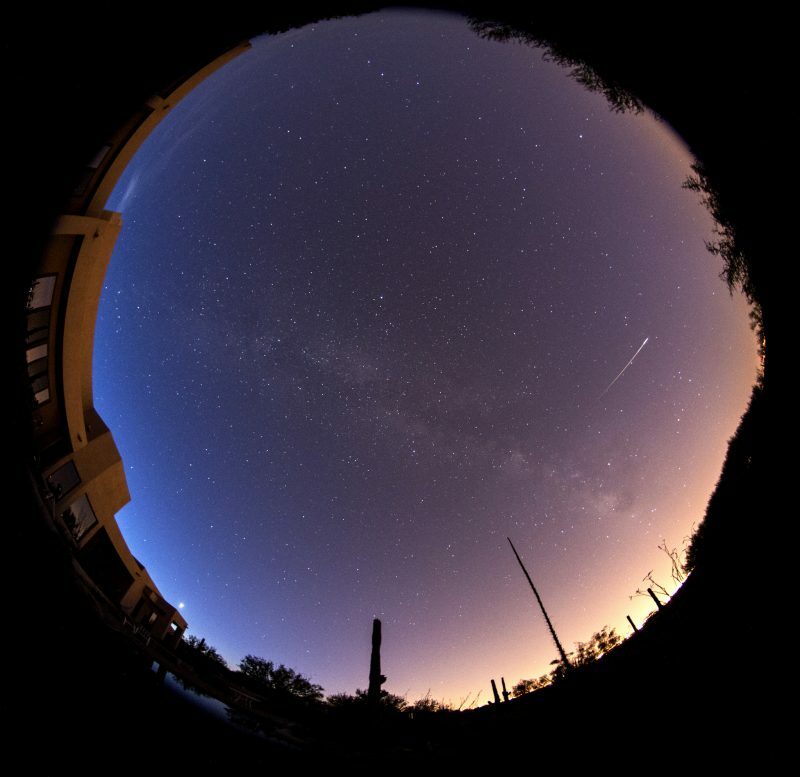 Under ideal conditions, the Eta Aquariid meteor shower produces up to 20 to 40 meteors per hour. If you’re in the Southern Hemisphere, and you have a very dark sky, you might see that many since this year, in 2019, there is no moon to ruin the show. In the Northern Hemisphere, those living at subtropical and tropical latitudes have the advantage over their more northern counterparts. May 6, 2017 – Eta Aquariid Captured at Mount Bromo (4K Timelapse) from Justin Ng Photo on Vimeo. North of about 40 degrees north latitude the meteors tend to be sparse and few between. The reason has to do with the time of twilight and sunrise on the various parts of Earth. 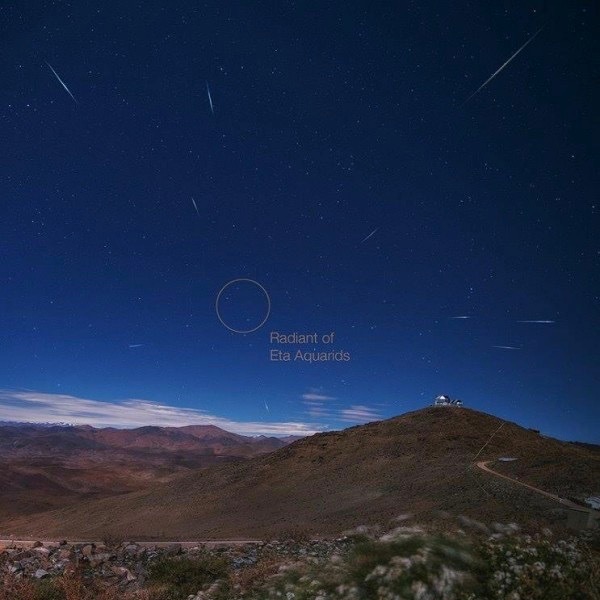 To learn more, check this post on why more Eta Aquariid meteors are visible in the Southern Hemisphere. Just remember that – as seen from all parts of Earth – the dark hour before dawn typically presents the greatest number of Eta Aquariid meteors. to find out when dawn’s first light (astronomical twilight) starts in your sky, click here and remember to check the astronomical twilight box. 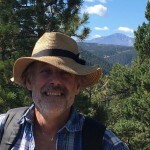 Read more: Where’s the radiant point for the Eta Aquariid meteor shower? Bottom line: In 2019, the Eta Aquariid meteor produces the most meteors before dawn on May 5 in inky dark skies unmarred by moonlight.